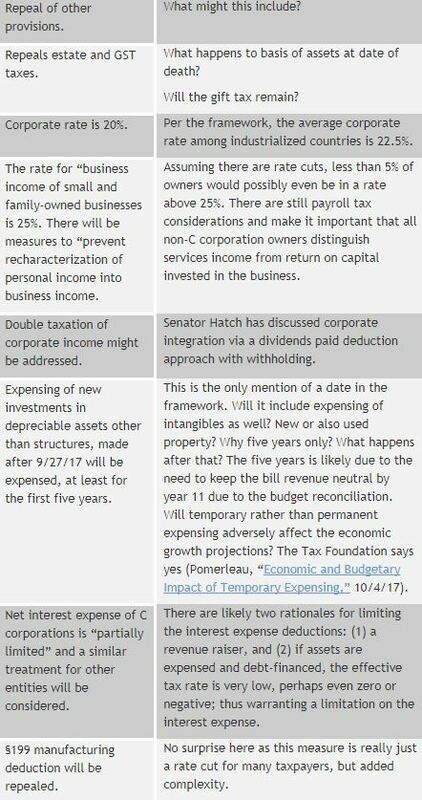 Tax Reform Framework: A Summary & Observations | TaxConnections is a where to find leading tax experts and tax resources worldwide. Your Summary & Observations on TAX REFORM (below) are excellent in addressing certain issues, such as the repeal of medical expense deduction—my specific case. I calculated my 2017 Form 1040 (estimated figures based on actual 2016) using the TAX REFORM rules (NO medical expense deduction) and using proposed tax brackets and I ended up with a tax increase of some 70% for Federal only; I expect California to follow suit (I live in Los Angeles County, CA), thus very likely resulting in some 100% tax increase in Federal and CA for me and my spouse. We are elderly, over 80 years old, and incur inordinately high medical expenses because of dementia condition for my spouse and other condition for me. You stated in your comment re repeal of medical expense: “Repeal of medical expense and casualty loss might adversely (IMPACT) taxpayer’s ability to pay”. In my case, MIGHT would turn to WILL adversely impact my ability to pay….. I wrote to AICPA re my situation re impact of repeal of medical expense deduction and I was disappointed when Melissa Labant of AICPA responded to my email with her email dated June 16, 2017, stating in part: “However, in the broader scope of tax reform, we have not advocated for retaining the medical expense deduction as opposed to the casualty loss provisions, for example.” I am appalled at this approach, where elderly taxpayers with high medical expenses (numbering in the millions) are virtually thrown under the bus….. This approach is an inelegant way of saying: “you have lived too long—you may leave this planet, please…. 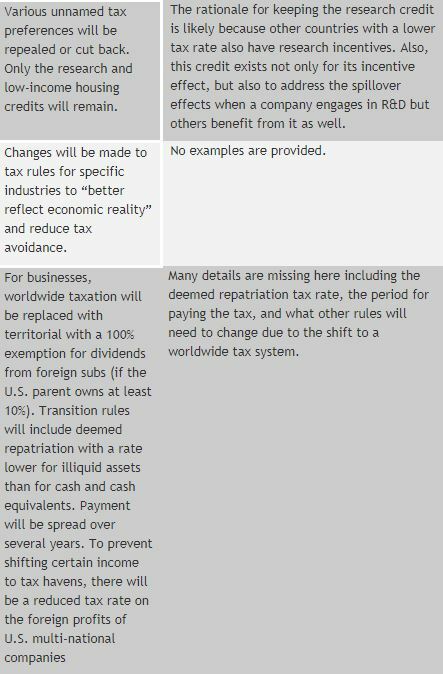 Annette, in your comment re worldwide taxation being replaced with territorial taxation, I think you have reversed the phrase “need to change due to the shift to a worldwide tax system”; it should read “ shift to a territorial tax system. I am sensitive in the area of international taxation because of my vast experience in this field in the last century……. Tax reforms framework is good for all of us.